It’s a slightly different kind of listening pleasure: at Prolight + Sound 2018 KlangdomeKollektiv will present its 3D sound in a unique setting. In the following interview, Daniel Jo Jauch from GEjODOME tent manufacturers explains what the visitors can expect at the Klangdome. 1: What kind of products are in your pallet? Klangdome is a producer of sound installations that will be presented at the trade fair with our new mobile Klangdome. Visitors can experience an unforgettable, immersive listening experience, which can’t be achieved with traditional surround systems. We offer comprehensive, immersive audio solutions for purchase or rental, and can install our system in all kinds of spaces or in the outdoors. For instance, this can include events, sound studios, art installations, or even for private use. In addition, we also produce immersive and binaural content based on Ambisonics. In addition, we will also present our event tents and domes. 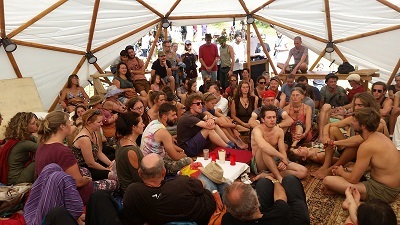 2: What do clients value in particular about your tent constructions? Round dome forms have fascinated and impressed since the Romans. 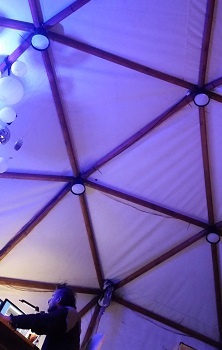 Our geodesic domes are attractive from a distance, but also on the inside. However, in contrast to other manufacturers’ metallic structures, which can seem very futuristic and cold, we build our domes with wood. This creates a very pleasant, comfortable, and unique atmosphere, but still expresses exclusivity and elegance, inviting people to stay. We develop every dome in cooperation with the client and their individual wishes, producing everything from the pole construction to the covering. We use wood native to Germany and take care to have short transport distances, using sustainably sources materials. This way, everything comes from one place, and that’s one point that our very satisfied customers value. 3: What is the most important thing for you when manufacturing your products? Interaction and tailor-made solutions developed together with clients come first and foremost for us. Because our team brings together experts from various areas, we have always worked creatively, goal oriented, and in an interdisciplinary manner. Ambisonics is open source and that is also our approach. The transfer of knowledge and shared experience are important components for the positive continued development of our future society. 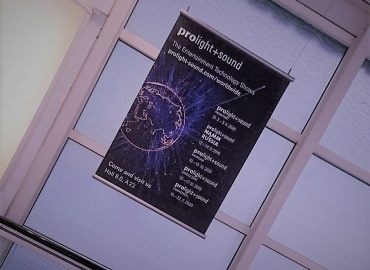 4: In 2018 you will be taking part in Prolight + Sound for the first time – what were the reasons for this decision? When we presented our Klangdome prototypes last September at the 4th International Conference on Spatial Audio (ICSA) in Graz in front of a critical, highly regarded audience of experts, with our rather comfortable installation we built bridges between luminaries and sound technicians in research institutions and the audience in the street, which was able to be entranced by the possibilities of 3D audio. This was special because normal people couldn’t attend the rest of the events without expensive admission fees. This occasion facilitated our meeting Jan Krakow from Frankfurt Messe, which ultimately led to our being invited to hold a similar presentation at Prolight + Sound. 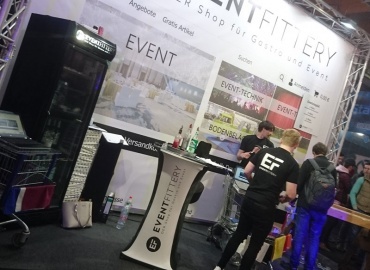 For us, it is naturally an excellent opportunity to demonstrate our products and at the same time, we can make the audience better acquainted with immersive audio technologies in this pleasant and unusual setting, arousing interest in Ambisonics and 3D audio. 5: Which products are you bringing along? Which highlights can visitors look forward to in particular? Our visitors will be greeted by a comfortable ambiance in which they can submerge themselves directly in fields of sounds. They can also be professionally informed and advised about 3D audio and Ambisonics. At the same time, various sound artists and musicians will perform and demonstrate their special presentation with our 3D sound system. Musicians and sound producers are invited to plug in our instruments and equipment (provided) and discover the possibilities of our interactive system for themselves. In addition, the award ceremony and demonstration of music will take place within an Ambisonic Content Contest. We will also collect the atmosphere and sound situations while walking around the fair with our 3D microphone. The condensed version will be played to illustrate the immersive possibilities of our system. From the article: "we presented our Klangdome prototypes last October at the 4th International Conference on Spatial Audio (ICSA) in Graz". ICSA 2017 was held from September 7th to 10th. Thank you. We changed it.